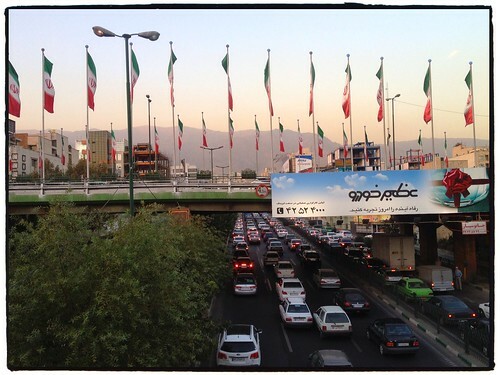 Happy Thanks­giv­ing from Tehran!, a photo by tf_82 on Flickr. We are so thank­ful for how amaz­ing the last 9 months have been. Today was another won­der­ful day spent with new friends in Tehran. This entry was posted in Iran, Street Photos on 14 October, 2013 by Tim Fisher. We recently took a break from the rat race and started a life long dream of trav­el­ing the world. We have had the good for­tune of vis­it­ing strange cor­ners of the world while piles of paper grew larger back at the office. Job cut­backs back home in Ottawa seemed like the per­fect oppor­tu­nity to take a pack­age and hit the road. So, here we are.